Based out of London, UK, The Silver Bayonets are a seasoned group with a tremendous sound. 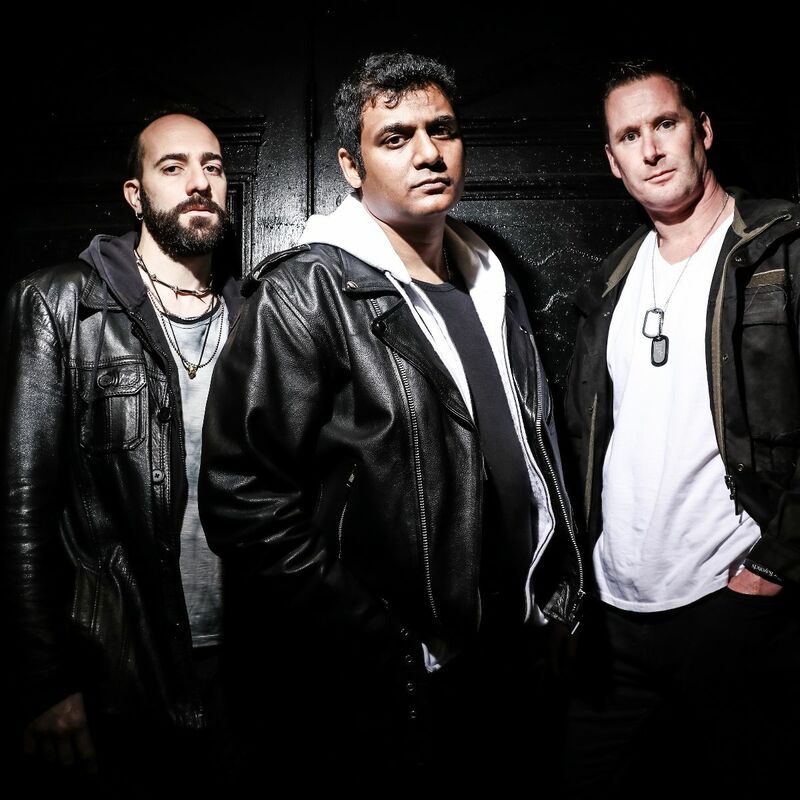 Consisting of members Kabir Sheikh (Guitar/Lead Vocals) Ross Guy (Bass/Vocals) and Enzo Cuticchia (Drums/Vocals), The Silver Bayonets have received numerous accolades from music fans, news media, radio, and industry insiders. The group’s new album titled Braveface is set for release in April 13th, 2018. Braveface is a well-oiled symphonic mechanism of some of the best rock music in the world. The album is composed of ten strong tracks that really invite listeners into the realm of The Silver Bayonets. The Braveface opens up with the raging sound of Real Like You. This is a hard-edged song that demonstrates the quality that The Silver Bayonets put into their recordings. This song has an epic drop that works well in grabbing the attention of the audience. Braveface lives up to its potential with contemplative lyrics that shift our focus on how we feel, as evidenced by the album’s next two songs Storms Inside and Time Machines. Braveface’s depth and continuity shines through the brilliant ability of The Silver Bayonets to compose songs that honestly reflect what we must endure as human beings as seen with tracks Inside The Jar and World Slow Down. Lead singer Kabir Sheikh poetic lyricism is reminiscent of rock legend Bob Dylan with a more harmonious twist. Musically, Braveface makes an impressive effort on the music front, largely due to a powerhouse of raw talent that The Silver Bayonets possess, but also the band’s creative and courageous gesture of importing a wide array of new sounds into the album’s landscape. Braveface takes an inspiring turn in the second half of the album. After identifying some of life’s challenges, songs like How We Heal and Suffocating Me promote a celebrative approach to life that is truly refreshing. The album’s final note Domino provides a cynical conclusion to a great body of work. 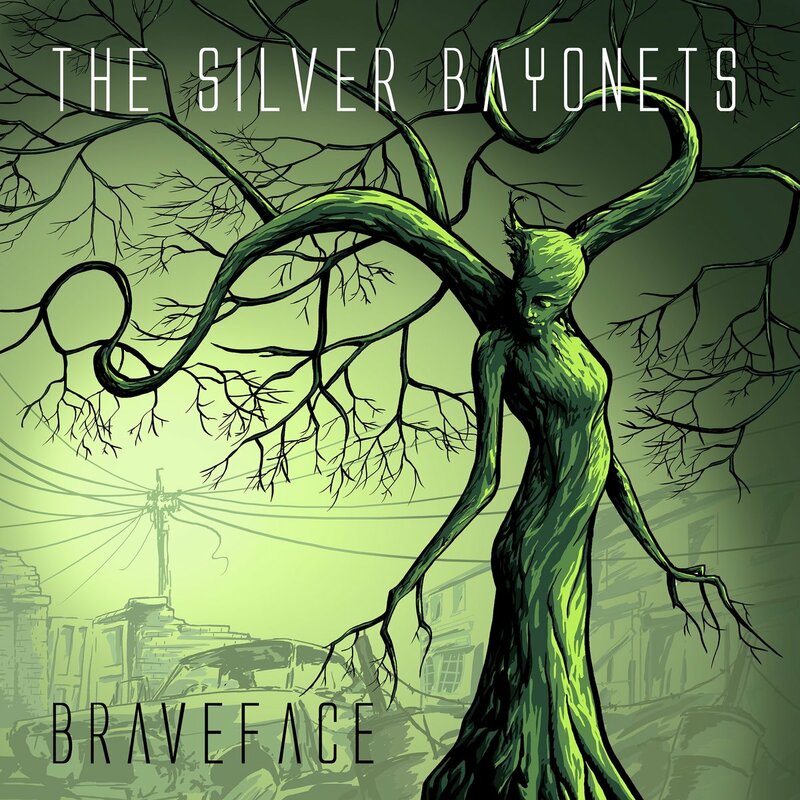 Braveface by The Silver Bayonets is an album that carries impressive themes and great song and sound structure. This is a musicians’ album that has something for everyone. Best of all, The Silver Bayonets continue their successful hit parade that is a result of group’s capacity to work as a team. Well done!